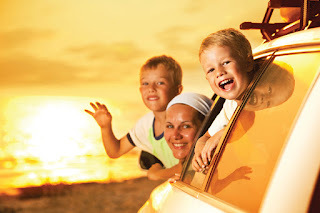 Is your car ready for your summer holiday? Our research has found that 55% of holidaymakers this year will be cutting costs by holidaying at home. However, very few motorists have considered the effect a breakdown could have on their staycation. According to further research by the Good Garage Scheme, 58% of British holidaymakers will not have their cars checked before heading out on the road this summer, which means thousands of motorists could be putting their lives at risk by travelling in cars that are unfit and dangerous. To help avoid a costly breakdown during a summer getaway, there are a number of checks you can make to ensure you don’t miss out on a great holiday because your car has let you down. 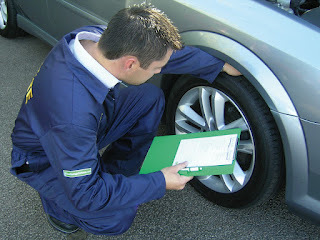 Tyres – look after your tyres and they will look after you. Ensure correct pressure to cope with increased weight of luggage and passengers. Check treads are legal to keep a firm grip on the road – they are the link between you and the road! Oil and Fluids – check, top up and change oil and coolant if needed to ensure a smooth running car and prevent engines overheating. Washers and wipers – they can take a hammering over the winter so check and see if wiper blades need replacing. Brakes – listen for excessive noise from brakes and have the discs and pads checked for excessive wear. Motorists can get used to driving with worn brakes without realising the danger. It’s essential to check them regularly. Air conditioning – check for a bad smell such as a dirty sock smell that may indicate harmful mould and bacteria in the air conditioning ducts which can cause flu-like symptoms. Still unsure if your car is fit to travel? Proper preparation will give you the peace of mind that your car is in the best possible condition before you head off on your ‘staycation’. To enable drivers to have their cars checked before their holiday starts, the Good Garage Scheme has launched a comprehensive 21-point Holiday Check. Simply visit www.goodgaragescheme.co.uk/holiday_check to find a garage near you to check your car before you set off. 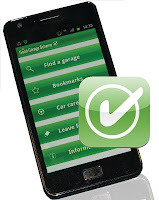 The Good Garage Scheme app is an ideal travelling companion to have when driving on holiday. Voted App of the Week recently by AutoExpress and cited as one of the best motoring apps of the year by The Sunday Times, it allows you to pinpoint your local Good Garage Scheme member on the move, from anywhere in the UK. It’s like having a friend in the know! Click here to download our free app.